Note: This article was first published on 9th March 2018. Yes, you read right. The Singapore company today unveiled the Omnidesk, a fully electric height-adjustable desk with plenty of customization options that will let you make your workstation truly your own. 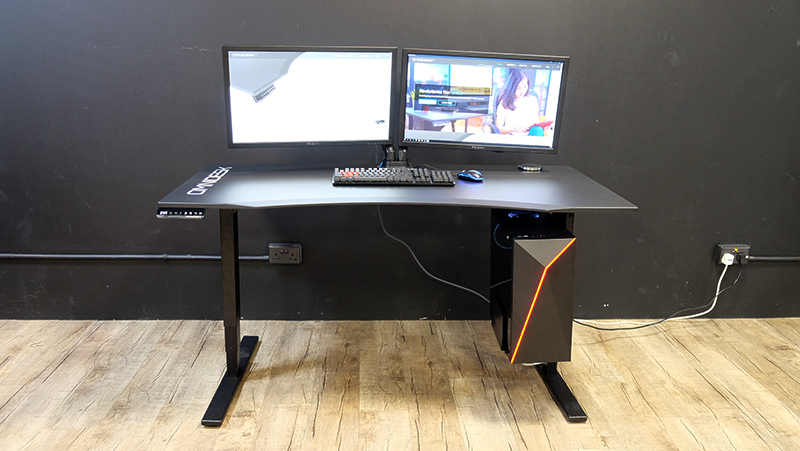 If you were looking for a way to install a crazy six-monitor setup so you can game, edit your photos, and check on your stock prices all at once, the Omnidesk will allow you to do that. Height-adjustable desks are nothing new, but the Omnidesk stands out because of all the modular add-ons it offers. 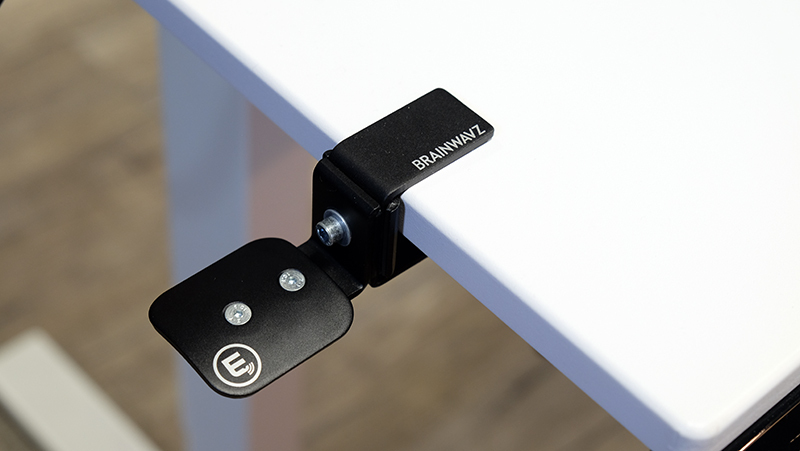 It seems to want to be a catch-all solution for everything you could possibly want to do at your desk, from charging your phone wirelessly to mounting your subwoofer and PC. Better yet, it isn’t even asking for an exorbitant amount of cash. 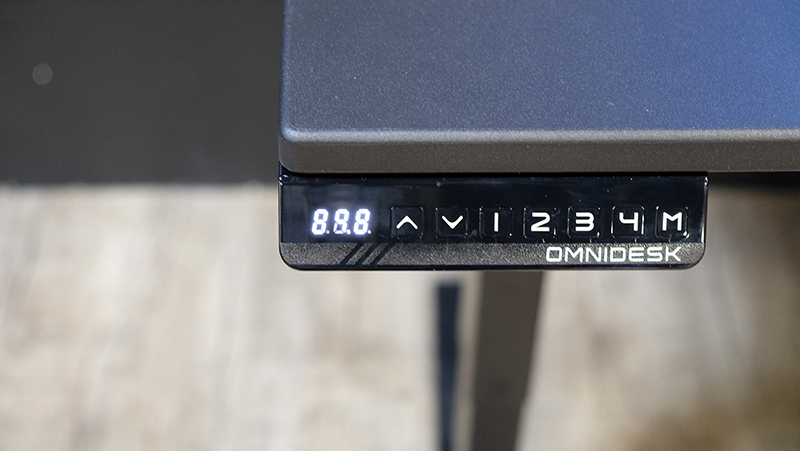 Given that similar options currently on the market are going for over a thousand dollars, the Omnidesk seems almost a steal with a starting price of S$630. 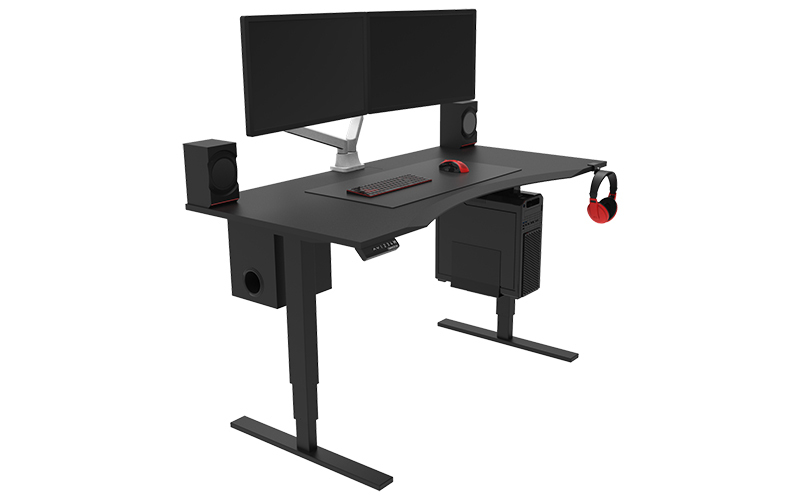 There’s also a Pro model with a higher base price of S$680, where the main difference between the two is the ergonomic curve carved into the front edge of the desk. 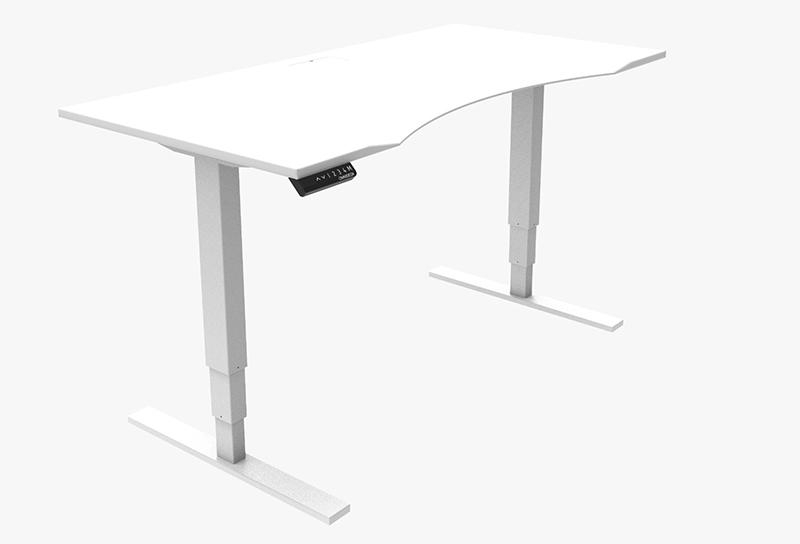 The Omnidesk Pro has this, and it’s supposed to allow you to rest your arms more naturally and comfortably on the desk. Both tables are also available in two different sizes – a small (48 inches) and a large (60 inches) – to better cater to different room sizes or requirements. You control the table’s height using a control module on the left, and the dual-motor mechanism feels smooth, quiet, and responsive. There’s also a helpful display that shows the current height the table is at down to a single decimal place, so it’s pretty precise. 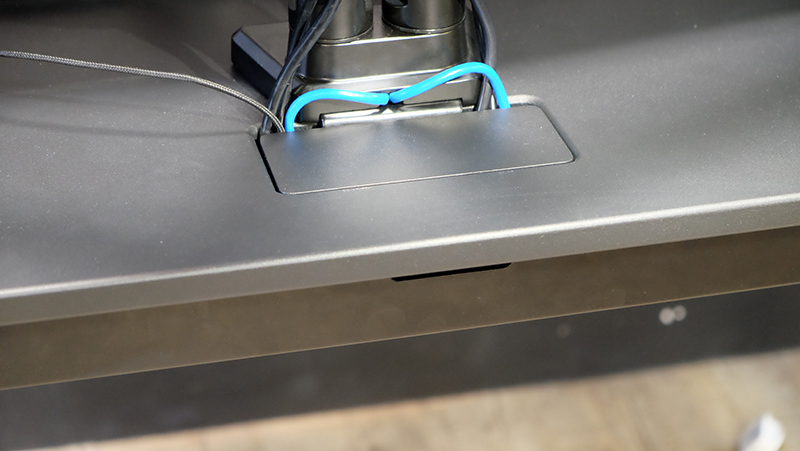 In addition, the desk can remember up to four custom settings, so you don’t have to readjust it every time. It works between a range of 60 to 120cm, which is low enough to double as a console station. I should also mention the desk surface, as it’s a special powdered finish that I’ve been told, will work fine with most mice. You’re intended to be able to use it without a mouse mat, although I’m guessing that most gamers will choose to have one anyway. Either way, it’s nice to have the freedom to keep your workspace even more clutter-free. From what I could see, the finish looked impeccable, which bodes well for the overall quality and feel of the product. This finish is the only one available at launch, and you can get it in either white or black. 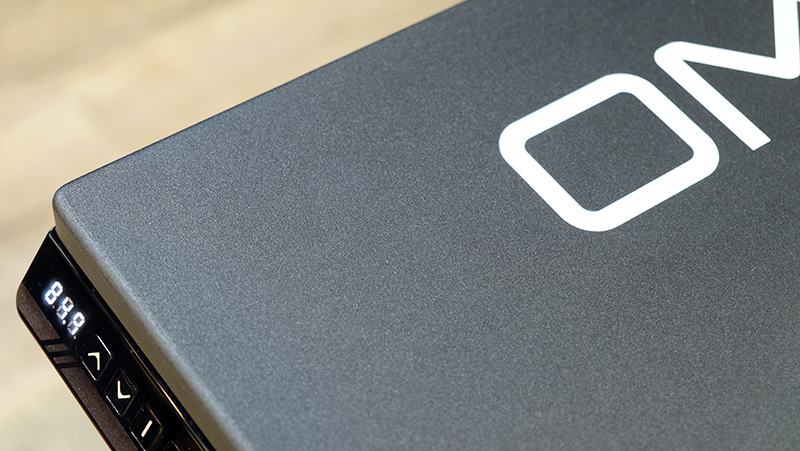 I’m partial toward the white, which really looks like it could be part of a super clean and minimalist setup. That said, more options will be added in the coming weeks, including a selection of vintage wood and laminate surfaces. However, only the original black and white finishes will allow for the ergonomic curve at the front, and the other options will not. Moving forward, the company is also looking at offering custom artwork options for the desk surface, which should make for some truly distinctive looks. Another key concern when setting up your work or gaming station is cable management, or the lack thereof, which is why I was happy to see a fairly robust solution for this on the Omnidesk. A covered niche of sorts sits toward the back of the table, and it’s where you run your cables down to a separate compartment at the bottom. This cable management tray spans nearly the entire length of your desk, so it should be spacious enough for your tangle of wires. It comes default with every Omnidesk. 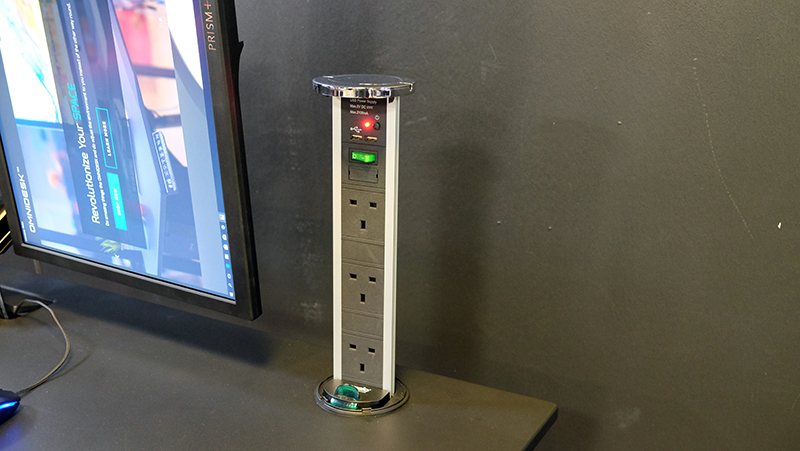 To make things even easier, you can also add a rising power bar that’s built into the desk itself, which means you don’t have to worry about wires snaking from the cable management tray to a separate power strip. This power bar can be either manual or automatic (tap to raise or close), and I’ve been told that there will eventually be custom grommet options available as well. However, if you’re terribly inept at cable management like I am, there’s a S$100 assembly and cable management service that you can add onto the delivery fee for someone to do all the hard work for you. The subwoofer mount is a nice touch, since it saves you from having to make space for the subwoofer on your floor. The mounts are specifically designed for individual subwoofers, and only the Creative Sound BlasterX Katana and Kratos S5 are supported now. 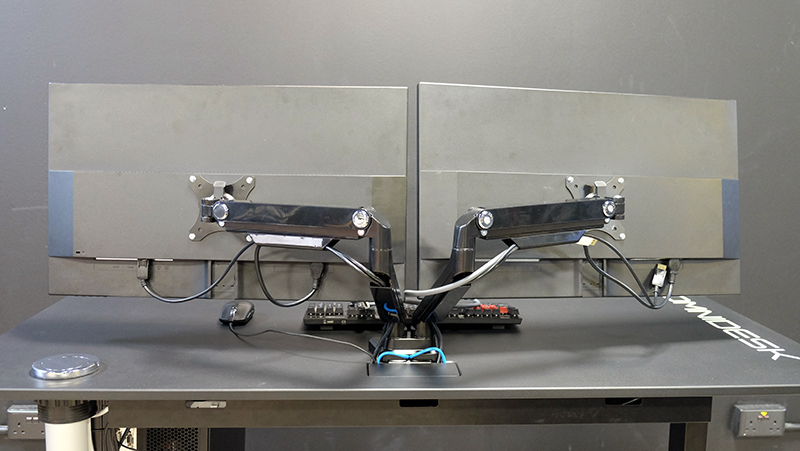 The desk used PRISM+'s ARC monitor arms, and they're also pretty nifty as they allow you to rotate or tilt the monitors in pretty much any direction. Only dual monitor arms are available now, but Omnidesk plans to support up to six in the future. 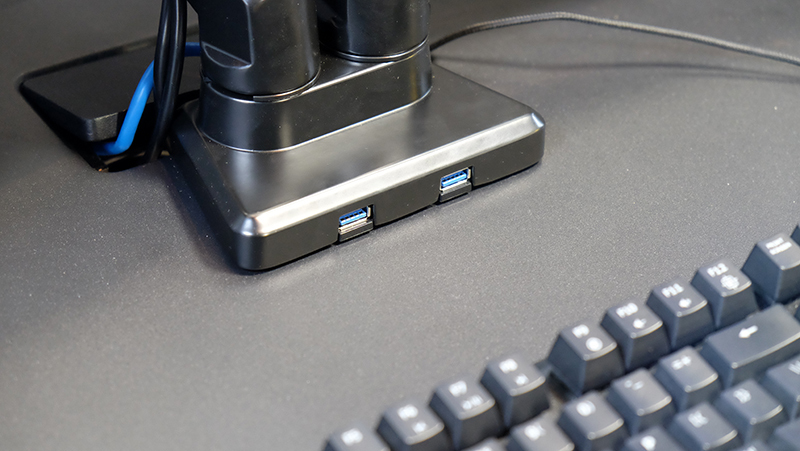 Moving forward, one option that I’m looking forward to is the ability to add USB ports to the table so you can easily connect hard drives or other peripherals to your PC without having to reach down. Having said that, the costs of the add-ons do add up, and you’ll probably end up paying quite a bit if you want to enjoy the full experience. 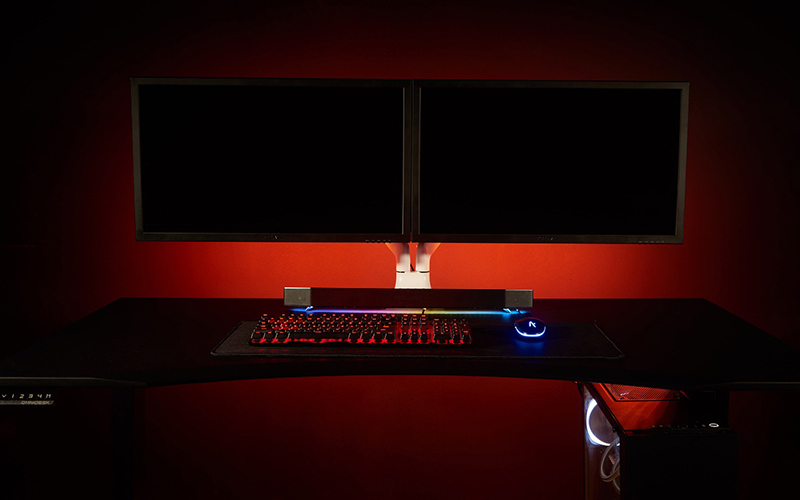 For example, after adding things like the PC and subwoofer mounts, the RGB LEDs, power bar, and dual monitor arms, I found myself staring at a price tag of S$1,577 (inclusive of the cable management service). Either way, the modular approach allows you to pick a build that best suits your needs and budget, and the base model looks to be a pretty value-for-money offering for someone who just wants a basic height-adjustable desk. The Omnidesk is available to buy now at www.theomnidesk.com. Each desk is backed by a 3-year mechanical parts warranty.